Practical Petroleum Geochemistry for Exploration and Production provides readers with a single reference that addresses the principle concepts and applications of petroleum geochemistry used in finding, evaluating, and producing petroleum deposits. 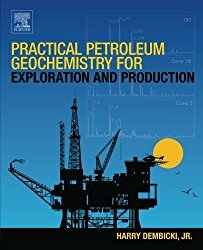 Today, there are few reference books available on how petroleum geochemistry is applied in exploration and production written specifically for geologists, geophysicists, and petroleum engineers. Understanding the origin and fate of hydrocarbons in the subsurface was the major endeavor of organic geochemists during the second half of the twentieth century. They succeeded to the point where the deciphered interplaying of elements and processes paved the way for the revolutionary concept of the petroleum system, a unifying paradigm that plays an important role in decision making associated with oil and gas exploration. The chemistry and physics involved have been addressed in a quantitative way and integrated into the other aspects of petroleum geology, giving rise to the development of numerical basin modeling. 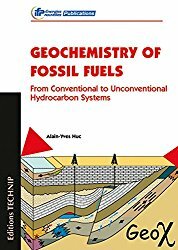 This book has been designed to offer an overview of different aspects of the geochemistry of fossil fuels, in particular the functioning of a petroleum system. In this respect, it can be viewed as a foundation for approaching basin modeling. This book will be of interest to a large audience including specialists in the field, nonspecialist professionals, and undergraduate and graduate students. 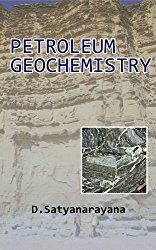 The book on Petroleum Geochemistry the first of its kind in India, is useful for postgraduate students of Science (Geology, Applied Geology, Geophysics, Earth Sciences) and undergraduate students of Engineering and Technology (BE, B.Tech.) undertaking several courses in petroleum science and engineering in the Universities, IIT's and other Institutions. It is also useful to geoscientists, engineers and technologists working in the oil industries dealing with exploration, production and related aspects. The book provides basic information on geochemical processes involved in petroleum generation, migration and accumulation in sedimentary basins, maturation of source rocks, evaluation of their genetic potential and correlations. It deals with the principles and applications of sub-surface geochemical methods including high resolution geochemical technologies for delineation of hydrocarbon kitchens and surface geochemical prospecting of hydrocarbons for prioritising targets for future exploration. In addition to basic principles, the book deals with the occurrence and distribution of petroleum in worldwide sedimentary basins with special reference to Indian basins, geochemical basin modeling and its application to petroleum exploration, application of biomarkers and modern instrumental techniques for characterisation of organic matter in source rocks and identification of their depositional environments. Applications of oil field waters and their role in enhanced oil recovery (EOR) operations, implications of scale formation and corrosion on drilling equipment and other installations are described comprehensively. Apart from conventional oil and natural gas the need for exploration and exploitation of unconventional petroleum resources such as Coal bed methane (CBM), Gas hydrates, Bituminous sands, Shale gas and Oil shale, Basinal gas and Tight gas sands, their origin, occurrence, characterisation of depositional environments, exploration and production strategies, environmental concerns and worldwide distribution with special emphasis to India are elaborated in detail.